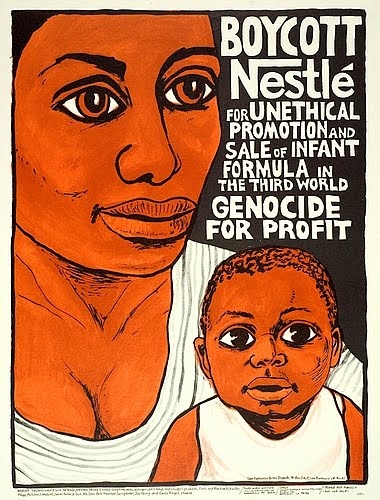 In the mid-1970’s, a boycott was launched to protest the promotion of baby formula in the Third World by the Nestlé Company of Switzerland. I remember it well, because I researched it while in college. At the crux of the boycott was that due to poor water quality, and the high cost of the infant formula which was in powder form and had to be mixed with the water, babies were not getting sufficient nutrition from the formula because of contaminated water and because their mothers only used less than the recommended amount of formula to make it last longer. The worldwide boycott was promoted by a documentary that explained how Nestlé promoted the formula in countries mainly in Africa, and how the contaminated water supply, plus the watered down formula led to various diseases in infants. The boycott has, according to Wikipedia, been cancelled and renewed because of business practices of Nestlé and other manufacturers. The New York Times reported yesterday, that earlier this spring, in Geneva, a resolution regarding breast-feeding was expected to pass quickly and easily, was opposed by the American delegation to the World Health Assembly, a UN-affiliated organization. According to the Times, American officials sought to water down the resolution by removing language that called on governments to “protect, promote and support breast-feeding” and another passage that called on policymakers to restrict the promotion of food products that many experts say can have deleterious effects on young children. The American effort failed, so in keeping with the current regime’s bullying tactics against friends and allies and trading partners, the Times reported that they turned to threats, according to diplomats and government officials who took part in the discussions. One of the countries they threatened was Ecuador. Ecuador had planned to introduce the measure. The fascist regime told the Ecuadoreans that if they refused to drop the resolution, Washington would unleash punishing trade measures and withdraw crucial military aid. The Ecuadorean government quickly acquiesced. Research has proven that mother’s milk is healthiest for children and countries should strive to limit the inaccurate or misleading marketing of breast milk substitutes, the Times went on to say. A 2016 Lancet study found that universal breast-feeding would prevent 800,000 deaths a year around the world, and yield $300 billion in savings from reduced health care costs, and improved economic outcomes for those reared on breast milk. But owing to its slavish devotion to corporate America and the pursuit of profit at any cost, the fascist regime in Washington has embraced the interests of the infant formula manufacturers. Thus, the battle to protect the health and safety of infants and children in the developing world has been renewed. However, this time with the threat of economic blackmail, countries that dare to introduce this resolution or enact its recommendations to promote breast-feeding over that of breast milk substitutes, may not be able to defend themselves, and represents a threat not only to the health and welfare of children in developing nations, but to the health and stability of their home countries as well. 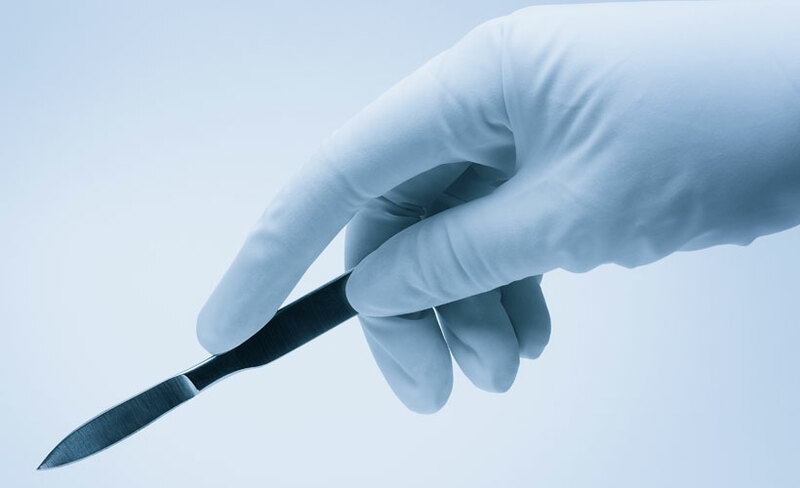 Advocates for health scrambled to find another sponsor for the resolution, but a dozen countries, mostly in Africa and Latin America, backed off citing fears of US retaliation. The Russians stepped in to introduce the measure, but the Americans did not threaten them. Of course not, the Orangutan takes his orders from Moscow. Oh, so I guess we can forget the over forty years the Soviet Union pushed around the smaller nations in Eastern Europe, as well as their allies in the third world? What would you call the invasions of Hungary and Czechoslovakia? Simple misunderstandings? But getting back to the issue, it is sickening that the US, being more concerned with the financial health of some multinational formula manufacturers, would prevent mothers from getting information about how beneficial breast-feeding is for their babies, which would go along way to moving them out of poverty, and improve the overall health of people in those countries. Then maybe they wouldn’t need to rush towards our southern border to escape violence, drugs, hunger, poverty and despair. Profits before people, that’s the real American motto and values. This entry was posted in Africa, Asia, Capitalism, Ecuador, Latin America, World Health Assembly and tagged Africa, Asia, boycott, breast-feeding, developing world, infant formula, Latin America, Nestle, World Health Assembly on July 9, 2018 by Transforming Workers' Comp.